Every year the hockey club conducts try outs for the 3 hockey teams. Tryouts are always held during the FIRST WEEKEND OF FALL QUARTER. There will be a 2-day tryout. Typically, we hold our first tryout as a fundamental tryout, which will allow us to analyze fundamental skills of each player. We will have cuts after the first day and skaters will be asked to return on the second day of tryouts. Since we do not have an on-campus facility to hold these tryouts, our club travels to Santa Maria to use a proper facility. This facility is also where the team(s) will be holding practices throughout the season. IMPORTANT: Just because a player was on a team the previous year does not guarantee a spot on the team. Please arrive at 10:30 to fill out paperwork. PLEASE plan on arriving by 10:30 a.m. so there is plenty of time for paperwork, collecting money, and getting dressed. The cost to tryout will be $25 per player. If you cannot pay before, then you cannot tryout, no exceptions. Please contact us prior to tryouts if this is an issue. Make sure you bring both a white (NOT a Grey) and a dark jersey for scrimmaging. REMEMBER: We are in very competitive leagues and we are trying to pick the best players that give our teams the best chance to win. We will make some cuts on the first day and final cuts after the second day. We will notify you by email to attend the second day of tryouts. Make sure you write your email address CLEARLY because we have had issues in the past with wrong email addresses. Let us know if you're going to need a ride and we will work on making sure everyone gets down there. If you need equipment, please contact me (info provided below) and we will try and assist you in any way we can. 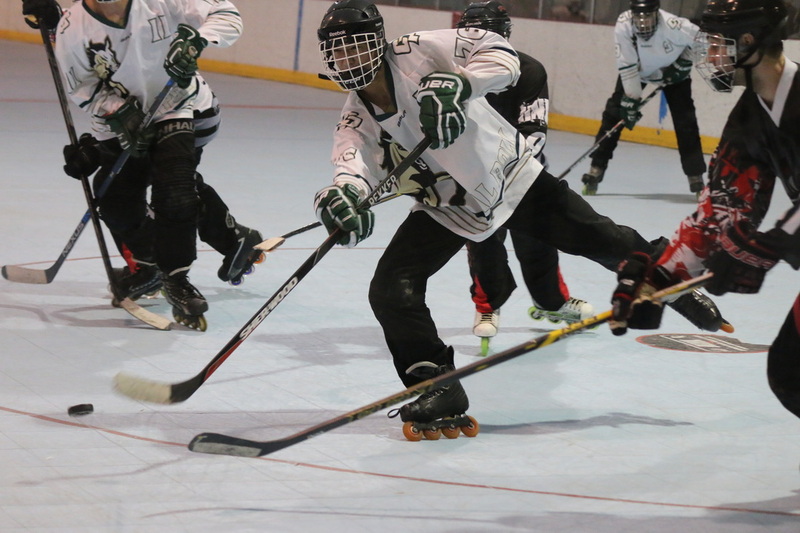 For the tryouts, you are required to wear skates, helmet, gloves, shin guards, athletic cup, stick, and elbow pads. If not, there is a hockey store located here in San Luis Obispo. You can find it online at http://InlineWarehouse.com. Keep in mind that we are going to have a lot of players out there at one time and things might be hectic so please work with me and the other team captains as best as you can. Although this might be a stressful experience, try to have some fun out there. I look forward to seeing you all out there!